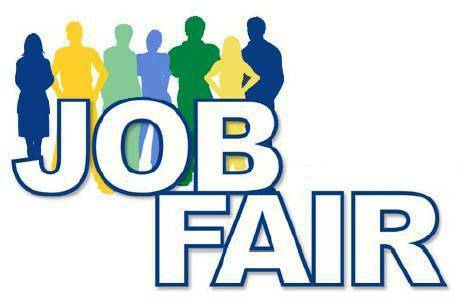 BUCYRUS — Residents in Crawford County and the surrounding areas can connect with potential employers April 26 at the first JOBortunity job fair presented by Ohio Specialty Services Motor Ranch and North Central Ohio Media Group and co-sponsored by Time Staffing. The event at Grace Point Church is from 10 a.m. to 3 p.m.
JOBortunity will feature multiple employers of various types and career fields. The event will also involve winning a nice used car or an option of winning $3,000 cash courtesy of Ohio Specialty Services Motor Ranch. Joe Herron, branch manager of Time Staffing in Ontario, sees this as an opportunity to make this job fair stand out from the rest. JR Jenney, owner of Ohio Specialty Services Motor Ranch, said the idea to give away the used vehicle came from speaking with employers in the area. Herron expects those who attend the fair will learn skills necessary to help them in finding employment such as learning how to build a resume, use a job board on the Internet and develop strong interview skills. “We also want to help potential Time Staffing Inc. candidates find an opportunity to improve their lives, as well as provide upward social mobility through hard work and dedication,” he said. Herron is most looking forward to the chance to help educate potential employees on ways to improve employee/employer relations, empowering them to be held accountable for their own actions — good or bad. “Most of all, I look forward to seeing how Time Staffing Inc. can impact the community in a positive way by offering opportunities to those that qualify,” Herron said. Jenney echoed Herron’s hopes that people should come to the JOBortunity feeling it will provide a solid opportunity for employment and change to their lives. Herron believes the event will be a success if everyone involved has the interest of the betterment of those seeking employment at heart. Job-seekers should come with an open mind. Employers interested in being involved should contact the North Central Ohio Media Group staff at 419-562-2222.